Richard A. Wunderlich is widely experienced in commercial litigation and counseling of clients in a variety of areas. 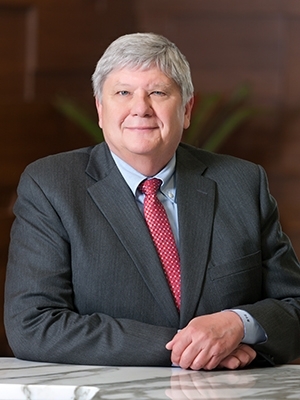 In litigation matters, he represents banks and financial institutions as well as individuals and a variety of business entities, with his primary focus on real estate, Uniform Commercial Code, insurance, partnership, corporate, product liability, legal malpractice, personal injury, and probate and trust issues. He is particularly knowledgeable in the areas of mediation and alternative dispute resolution. Rick also has extensive experience in federal courts and the Missouri court system including out-state Missouri, as well as in appellate matters, having argued before the Missouri Supreme Court, Missouri Courts of Appeal, and the Fifth and Eighth Circuit Courts of Appeals. Rick serves as outside general counsel for nursing home operators in multiple states, assisting in resolving claims and handling insurance issues. In a notable case, he obtained a jury verdict award in the amount of $9.2 million plus attorneys' fees and costs. Active in his community, Rick has served on numerous education and charitable boards including Sunnyhill, Inc., Council for Extended Care for Mentally Retarded Citizens, Inc., and The Center for Autism, Inc. He participates in the business and social community of Washington, MO, where he has served on boards and committees of St. Francis Borgia Regional High School, St. Francis Borgia Parish, Knights of Columbus, and the Washington Elks. Rick presently serves as a member of the Board of Directors of the Washington Area Chamber of Commerce and the Bank of Franklin County. Rick was selected for inclusion in Missouri & Kansas Super Lawyers® 2011-2018. He is a former member of the Firm's Management Committee and Recruiting Committee. Board of Directors, Council for Extended Care of Mentally Retarded Citizens, Inc.